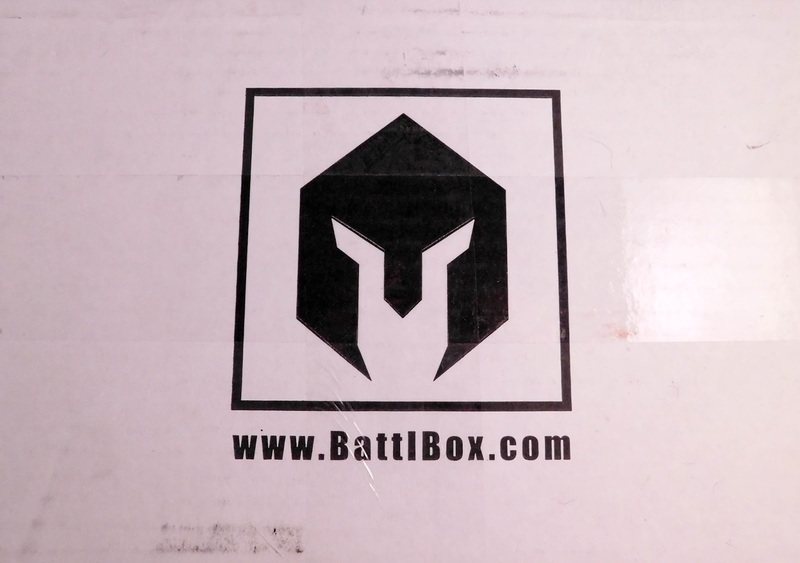 What is BattlBox? 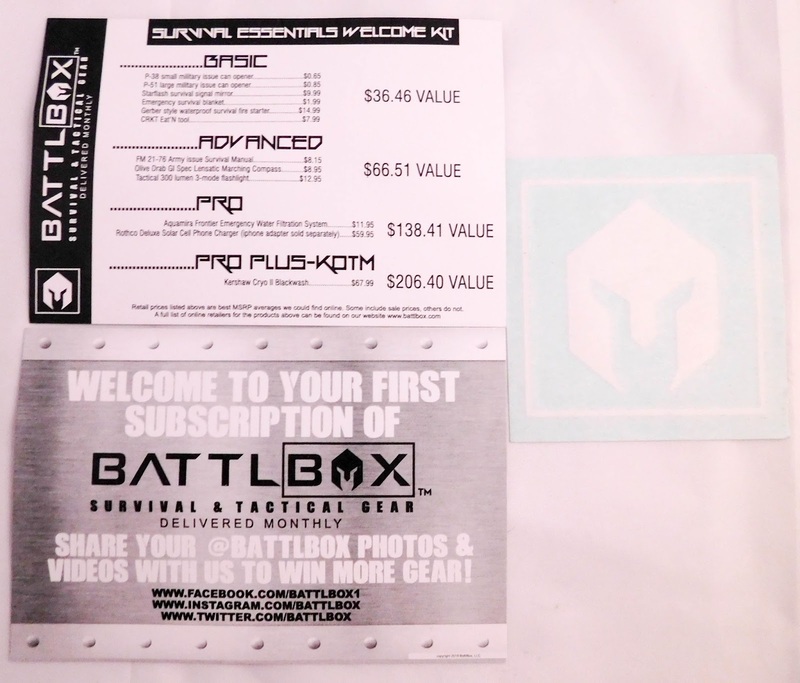 : BattlBox is a new subscription box with survival, tactical, and edc gear and all sorts of goodies for survivalists! They advertise for men but anyone that loves this kind of gear will fall in love with the box. How Much is BattlBox? : There are four levels: Basic ($24.99), Advanced ($49.99), Pro ($99.99), and Pro Plus including the Knife of the Month ($149.99). I have to preface this by saying I was unhappy that I received the Mission 1 box after already receiving from them in the past. I attempted contacting them and received nothing in response, thus my unhappiness. Husband was really wanting Mission 6, which was why we subscribed, but he's still giving his opinion on this box for me to post to everyone else. 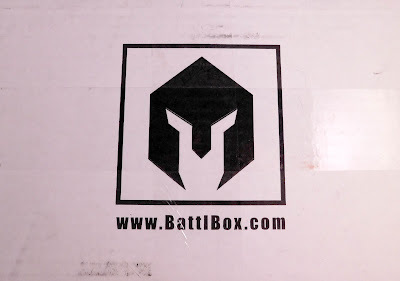 The box was again the regular BattlBox shipping box. 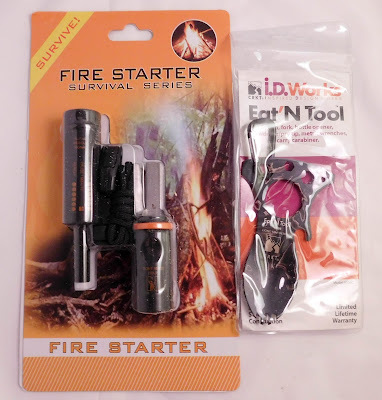 It was filled with the fire-starter stuff, that is great to put in your Go Bag, if you can get it out of the box without making a huge mess. Again, they include the card for the box and it shows what you would have gotten with a larger box. The sticker is cool, though, but very hard to see against a white background. P-51 Large Military Issue Can Opener ($0.85), P-38 Small Military Issue Can Opener ($0.65) - These are nice to have if you didn't have a can opener, but we already have a very nice one that works much better than these. Starfish Survival Signal Mirror ($9.99) - This is a mirror attached to a rope. It's something that's handy to have if you don't already have one in your Go Bag. 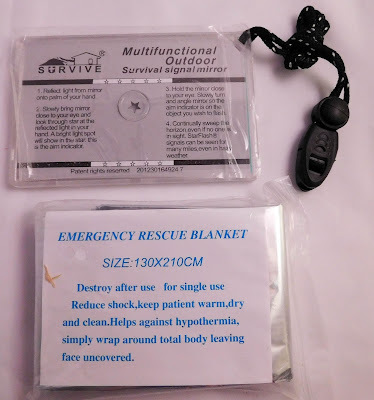 Emergency Survival Blanket ($1.99) - It's a single use blanket, which is very handy to have in your Go Bag. It's to help in real emergencies, like freezing or in shock. Definitely something that should be in a Go Bag. Gerber Style Waterproof Survival Fire Starter ($14.99) - This is really a necessity in a Go Bag. We already have a couple, but this is good if you're just starting your Go Bag. It literally starts a fire in practically every situation. CRKT Eat'N Tool ($7.99) - This is more something I would think would be for camping rather than a Go Bag, but it's still something I guess people might want. It's literally just a fork/spoon/knife to eat with. 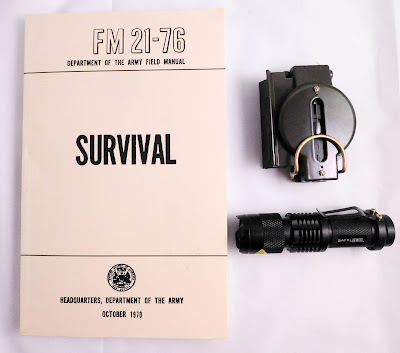 FM 21-76 Army Issue Survival Manual ($8.15) - It's a survival manual. that's it. 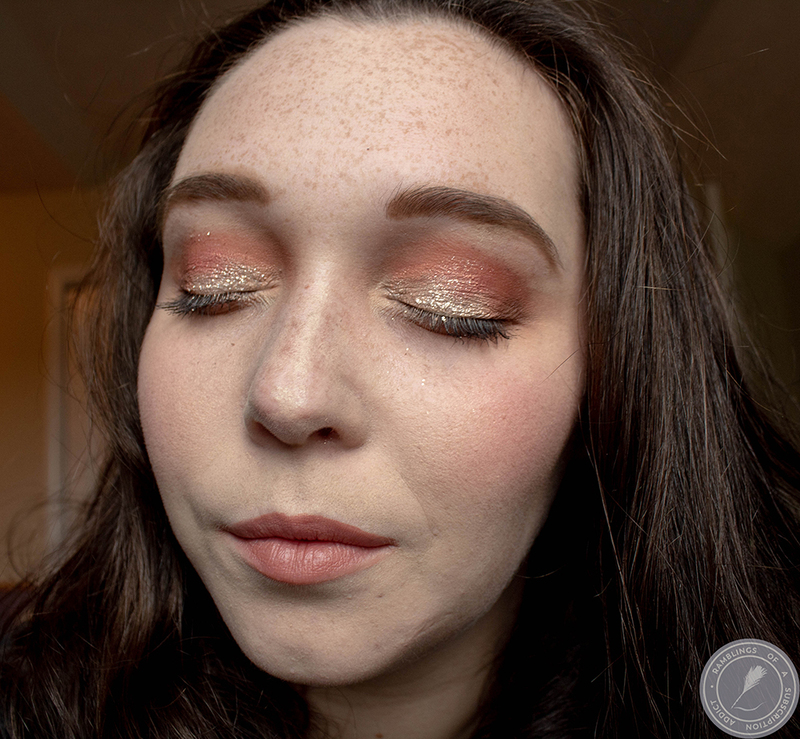 There isn't any super great information in it that most people don't already know or should already know, so it's more of a novelty than anything else. Olive Drab GI Spec Lensatic Marching Compass ($8.95) - I can see this being very important, because most people don't know directions anymore. It's a good compass and feels like it would hold up for quite some time. Tactical 300 Lumen 3-Mode Flashlight ($12.95) - The only true win of the box. We can always use more flashlights around here and this one is ridiculously bright. 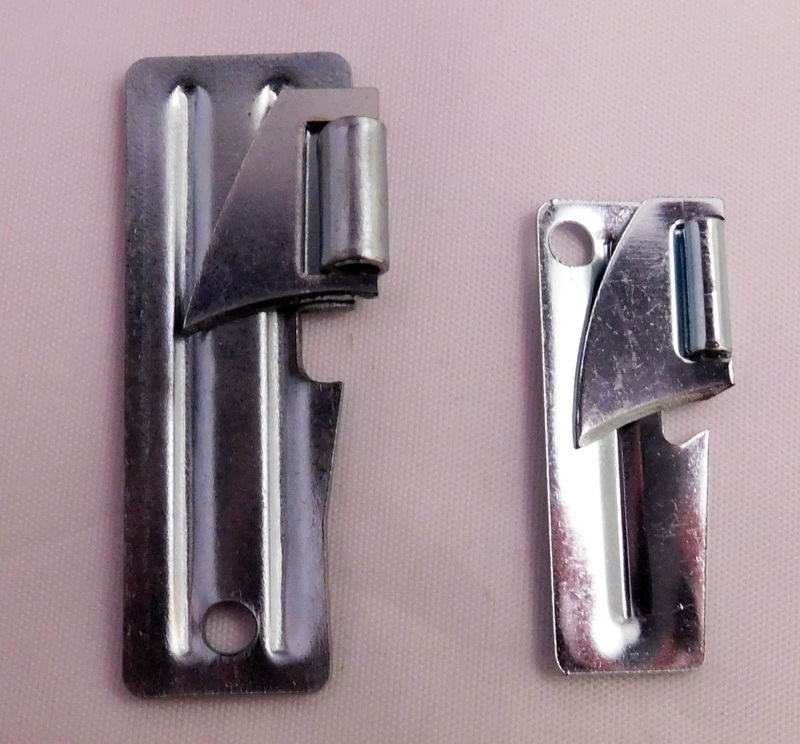 It works very well and has a cool design when you shine the light at a distance. 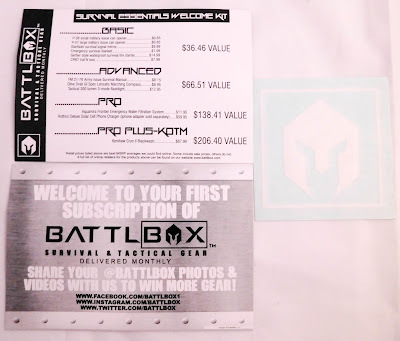 Overall, this box is worth $66.51 based on BattlBox's numbers. 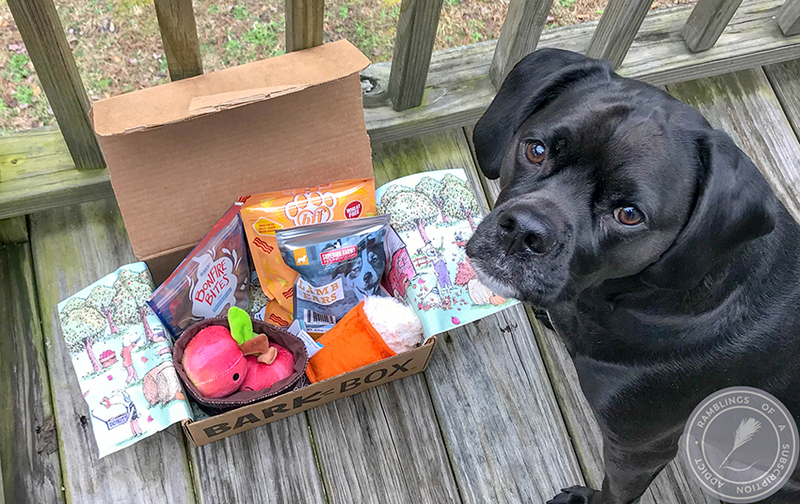 This box is exactly what you will get when you first subscribe. 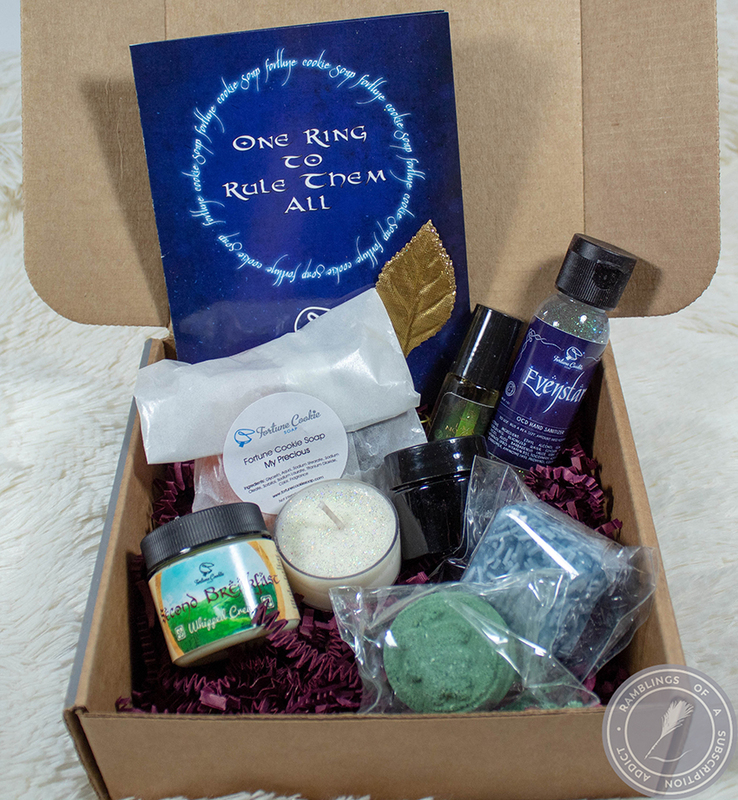 I think they should have a system in place so you don't get this box if you have already received from them in the past, so this was a huge disappointment. 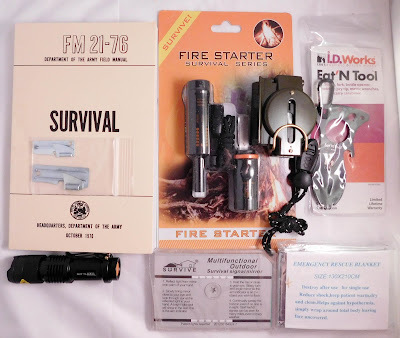 Only the flashlight was a win in my opinion, but it's full of great things if you haven't already started your Go Bag. We canceled after getting the wrong box, but I've left it up to Husband on if he wants to resubscribe in the future. As always, let me know what you thought of this box.